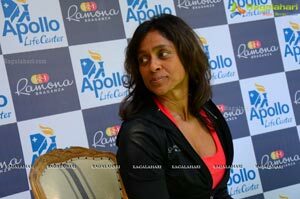 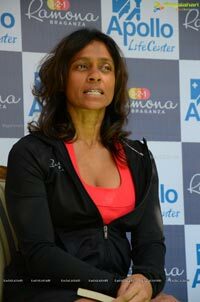 Speaking on the occasion Ramona said, "I am really excited to be here, as part of an amazing fitness initiative. 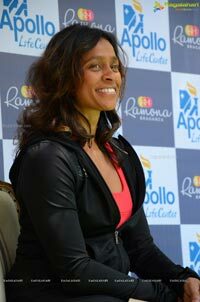 I appreciate Apollo Life Centre's initiative for encouraging people to adopt a healthier lifestyle and to conduct this on the occasion of women's day is what making it even more special." 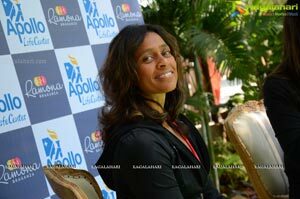 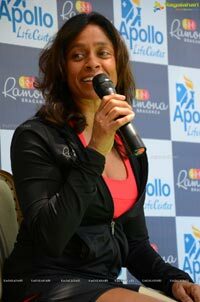 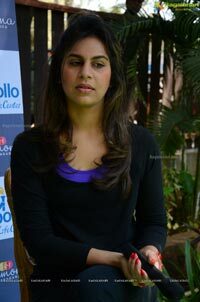 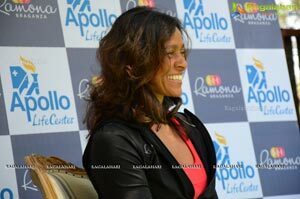 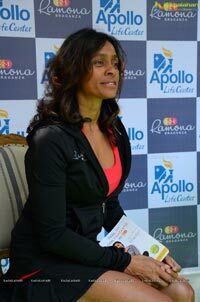 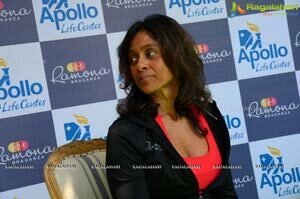 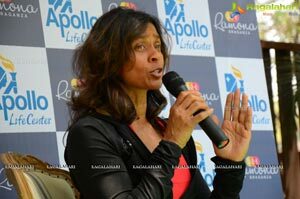 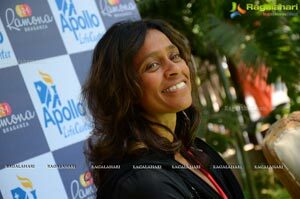 Upasna Kamineni, Managing Director of Apollo Life Centre said, "Apollo has always advocated such initiatives and it's very important for women especially to stay fit and take care of their health. 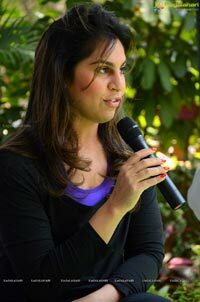 Women these days are donning several roles and tend to neglect themselves in the hustle and bustle of other priorities like career, family and kids. 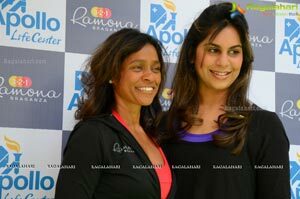 Programs like these give them an opportunity and encouragement to embrace a healthier lifestyle. 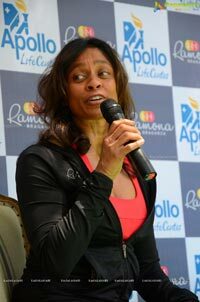 We are happy that we could get the best"
Ramona is an international trainer who has developed her famous 321 Training Program that Hollywood celebrities swear by. 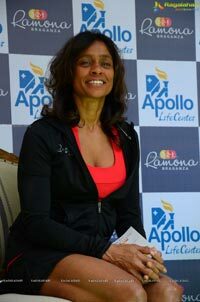 She has been a fitness competitor, a competitive gymnast and an NFL Cheerleader in the past. 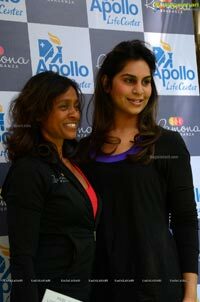 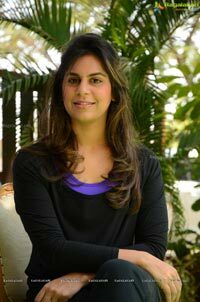 She is also an expert in postnatal fitness where she helps new mothers to get back to their pre delivery shape. 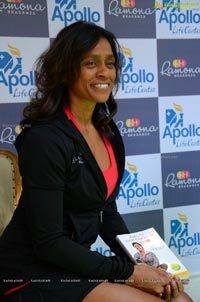 She also has her own fitness DVDs and nutrition books. 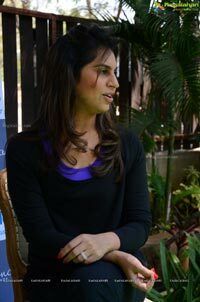 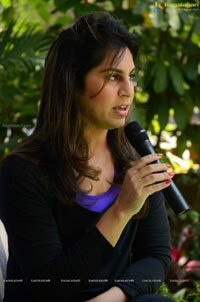 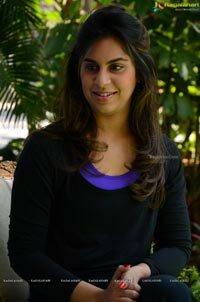 She is also a regular contributor to several international magazines. 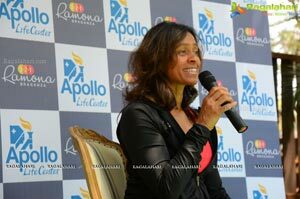 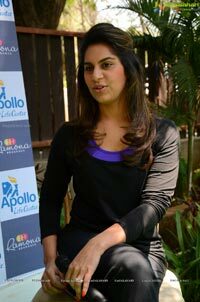 Apollo Life is an initiative of the Apollo Group, a leading global healthcare provider. 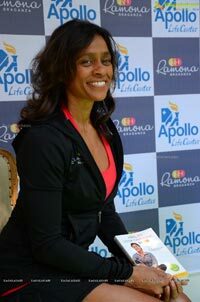 Wellness is a state of optimal wellbeing that is oriented toward maximizing an individual's potential. 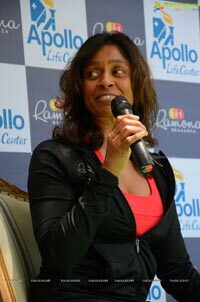 This is a life-long process of moving towards enhancing your physical, intellectual, emotional, social and environmental well-being. 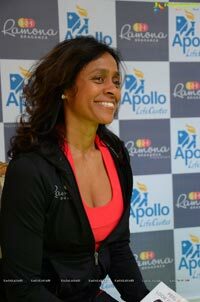 At Apollo Life, we believe that wellness is the precursor to optimum health. 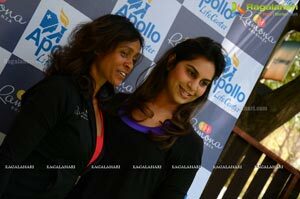 Wellness is a continuous process towards achieving positive, transformational well being, and wellness completes health. 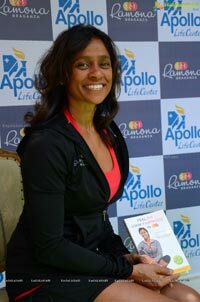 Apollo Life's services encompass various dimensions of wellness, and when combined with its parent company's - Apollo Hospitals' - inherent strength in health, present a unique perspective in prevention and management of health. 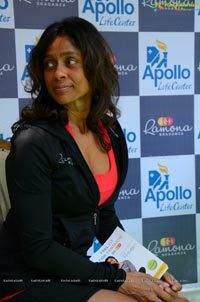 The core objective of Apollo Life is to address those mental, emotional, dietary, fitness- related, physical environmental issues that account for most chronic and lifestyle diseases we currently face.